Initially published in 1912 and the first of Zane Grey's many bestsellers, this stirring tale of adventure in the high country established the prototype for western novels of the twentieth century. The plot's focus is a proud young heroine who's determined to defend her Utah ranch. 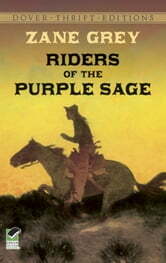 She stands alone against the villains who rustle and stampede her cattle—until a stranger rides into the territory. Notorious as the scourge of Mormon transgressors, the stranger stays on to assist in the inevitable showdown, and romance blooms amid the canyons and cottonwoods. 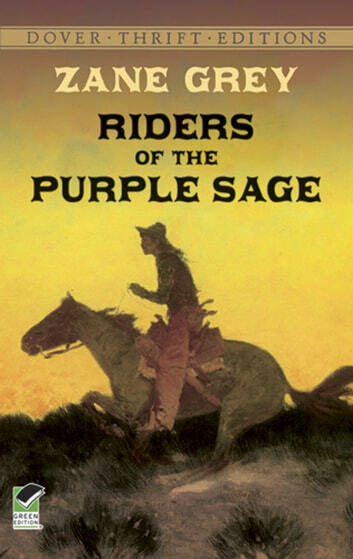 A classic of American frontier fiction, Riders of the Purple Sage teems with color, authenticity, and thrills.